March 10, 2010 Barry M.
Also know as A.K. is a system of diagnosis and treatment developed by Dr. George Goodheart Jr., D.C. using muscle testing and various other means to augment normal examination procedures. A.K. utilizes diagnosis and treatment ideas from many different systems of treatment, both Eastern and Western, and integrates them into a unified whole that is greater then the sum of the parts. Barry is one of the first physical therapist to every study this system. Currently he takes courses with the president of the International College of Applied Kinesiology. Aligns the superficial and deep fascial layers of the body to integrate the body structure. A wonderful way of treating chronic problems and habituated postural patterns that can cause lingering pain. It was developed by Ida Rolf. Today there are many lineage of connective tissue work but they are all based on her original ideas. Any work on the skull or craniosacral rhythm developed from the original pioneering work of cranial osteopath Dr. William G. Sutherland. Some examples of this are craniosacral technique (CST), sacral occipital technique (SOT), and cranial- respiratory faults (CRF). All of these systems attempt to normalize the motion of the cranial and fascial bones as well as the craniosacral rhythm that is inherent in everyone. All are very gentle techniques that often have amazing effects through out the body. A treatment developed by The British orthopedic surgeon James Cyrix that manual breaks down scar tissue and adhesions in muscles, fascia, tendons and ligaments using short, specific deep strokes and then stimulates the body not to reform the scar. Scar tissue and adhesions weaken all tissue types, decrease function and lead to further injuries and pain both at the site of the dysfunction and distant to it. Scar tissue may persist for years and it is often the cause of chronic or reoccurring conditions. Any system utilizing and manipulating the patient’s natural biomagnetic field to heal. All electrical systems are surrounded by a magnetic field. Since all people naturally generate small electrical charges within their nervous system, our energetic field is biomagnetic. It is this field which is affected to promote healing. Extremely light touch or no contact is employed. The results can often be startling and hard to believe until experienced for one’s self. A great book on this subject is The Scientific Basis for Energy Work by James L. Oschman. This techniques was developed and perfected by Osteopaths and is widely used by physical therapists. It safely and gently releases tight or overly shortened muscles by using the patient’s own natural force against resistance provided by the therapist. Lengthens the more superficial layers of the fascial matrix. This matrix runs throughout the body and surrounds every muscle, bone, organ and nerve. It is considered to be an organ of shape, support and force transmission throughout the body. This treatment combines myofascial release and deep tissue massage with both active and passive movement of the patient’s muscles to help breakdown scar tissue and normalize function. STR is a great treatment for anyone who uses there body hard, from the professional athlete to the computer jockey. If you have a RSI (repetitive stress injury) this just may be the treatment for you. This technique is also know as positional release and was developed by Dr. Lawrence Jones D.O. It is extremely gentle and safe for everyone. Painful muscles are passively shortened and then held for a period of time. By holding the muscles in a passively shortened positioned, their internal tension setting is reset much the same way as one resets a thermostat. When the muscle is slowly returned to its resting position it is much less tender and usually much stronger. S-CS is extremely effective for people who have recently suffered a whiplash injury. In other words, triggerpoints are your classic muscular “knot”. Referred pain from active triggerpoints can often mimic neurological pain. Many patients with a diagnosis of sciatica have had nothing more than an active triggerpoint or two in their gluteal muscles. Once relieved, all of there symptoms of pain and tingling disappear. Barry helped my chronic neck pain and stiffness, ankle/foot injury and SI joint discomfort tremendously. In fact I have no more chronic neck or SI discomfort and my foot is 90% better. After my 1st visit I felt remarkably better. Barry is a uniquely skilled muscular therapist and healer. While traditional physical therapy and massage therapy has its place, Barry brings a wealth of knowledge about kinesiology, movement patterns, even the way the brain perceives blocks in muscular pathways (which I am probably not explaining correctly) but suffice it to say Barry is able to blend this knowledge to produce fantastic results. I want every one I know who has any physical discomfort to see him. I will keep seeing him for “maintenance” and prevention. He's a really nice guy too and genuine in his care for people. Last week I tweaked the muscle under my scapula - the same one that creeps up every once in a while and has so for the past twenty years. Earlier this week I had a muscle spasm in my neck. 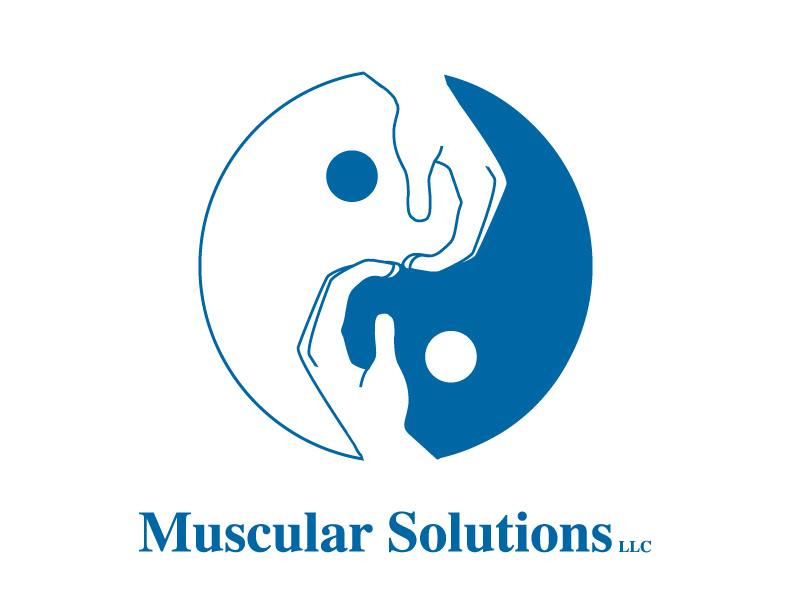 Yesterday, I visited my good friend Barry Meklir at his practice in Brookline, MA called Muscular Solutions. Barry takes a whole body approach to his healing and he is amazing. Today, I feel fantastic and 95% of the pain is gone. I expect to feel even better tomorrow. If you have any sort of muscular ailments plaguing you, I can't recommend Barry enough. He is an incredible healer and truly knows what he's doing. Make an appointment and you will not be disappointed!" Barry is a god amongst massage/physical therapists. I've been to many in my day, and I've never, never met someone who possesses such an innate, intuitive understanding of the human body. Not to mention some of his tricks are almost voodoo-esque in their magic - like one minute your knee can't withstand pressure, then he taps the side of your foot, and suddenly your knee can resist all of his force. I went to see him on the recommendation of a friend who said he fixed her chronic hip issues, then I recommended him to my roommate and my father, and my roommate recommended him to her mother. All are deeply happy customers. He will give you stretches and exercises to do to help prevent your issue from reoccurring, and he will find places you didn't even know hurt, but turn out to be related to the issues you're having. I've gone in both for run-of-the-mill back/neck stiffness, and for an emergency session after I got rear-ended and had awful muscle pain/soreness from the whiplash. Barry worked on everything, demonstrating how that one moment affected everything from my sacrum to my throat muscles. To call Barry a masseuse is a misnomer - he's Barry. That's all I can really say. This is not going to be a relaxing experience, and in fact at times, I've been on my side or back wincing and yelping in (good) pain. But it's so worth it. Every time i've been to see Barry, I feel structurally...better. More pain-free. Able to go months before needing another tune-up. Which is good, because Barry isn't cheap, but he is willing to work with you on payment plans/options if he feels you need multiple sessions.